This lesson takes 15-20 minutes, but the knowledge you’ll gain could save you hours every week. 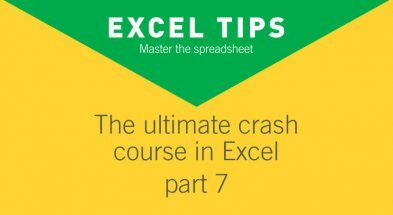 It is possible to create a PivotTable based upon any range of cells, but the advantage of using a table is that the PivotTable will adjust automatically to include any new rows and columns of data added to the range. 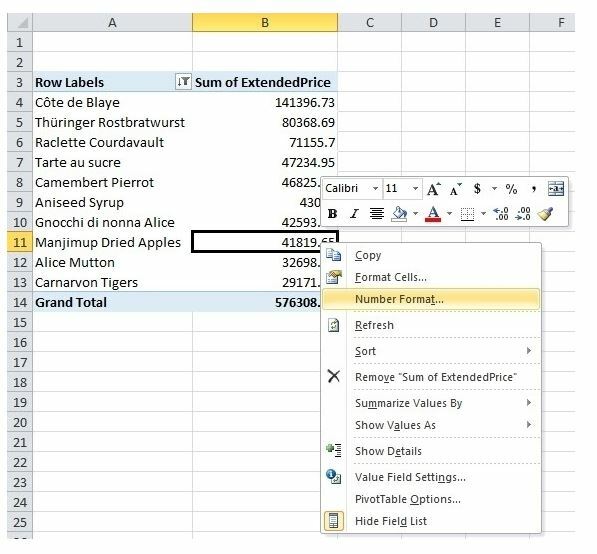 ExtendedPrice represents the total sales value of each invoice line – the number of items sold multiplied by the price of each item. 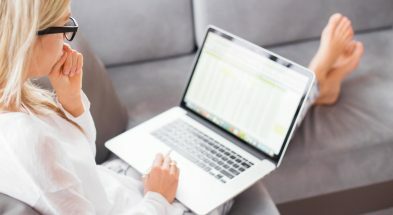 A single invoice can have several lines, one for each different product ordered, so you will see the same OrderID for several lines. 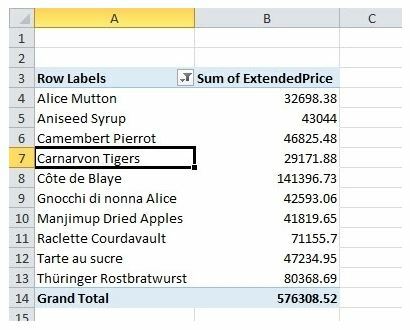 Just glancing at 2,156 lines won’t easily tell you which products are selling best, which is where a PivotTable comes in. 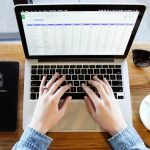 Let’s take a look at how we create and build a Pivot Table using our raw data fields. The list would be clearer if sorted in descending order of values to give a kind of league table. 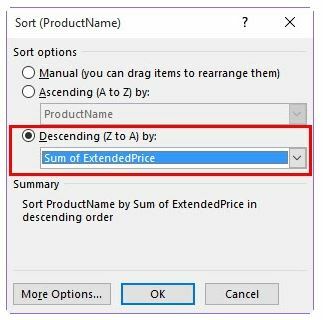 To do this, again right-click any ProductName, then from Sort, choose More Sort Options. 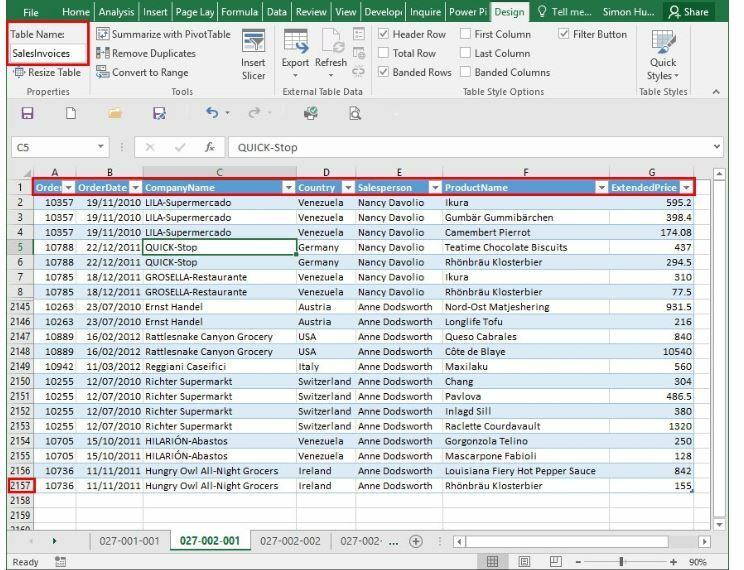 If you want to look at the detailed records that add up to any of the totals shown in the PivotTable, double-click the total and Excel will insert a new sheet listing all the records that sub-total to the value in the PivotTable. 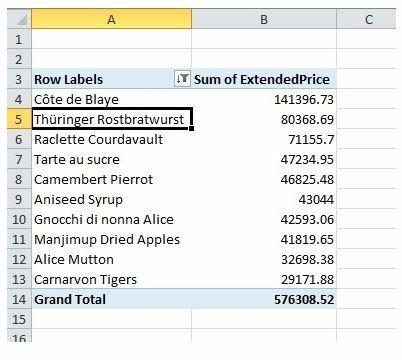 We’ve just seen how quickly we can set up a PivotTable from our source data, but there is an even quicker way using Recommended PivotTables. 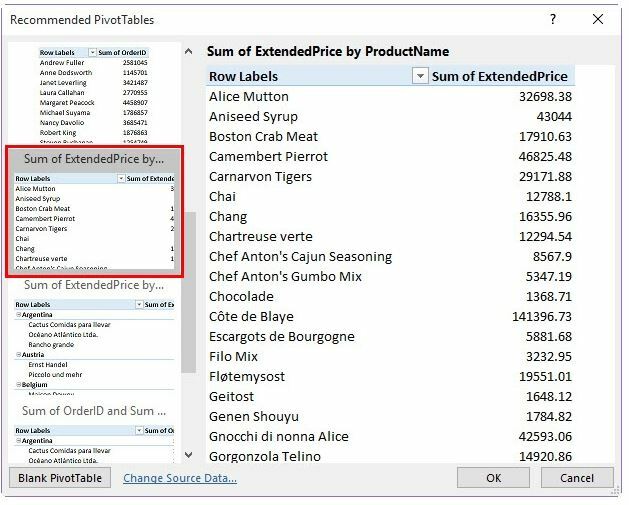 We can click in any cell in our source data and, from the Insert ribbon tab, Tables group, choose Recommended PivotTables. 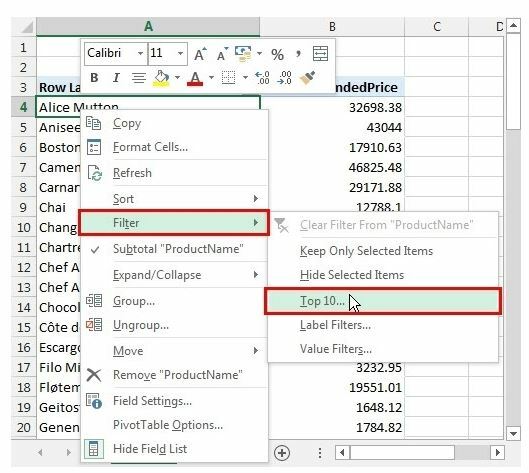 In the following video, we are going to explore the four areas of the Pivot Table; Filters, Columns, Rows and Values. 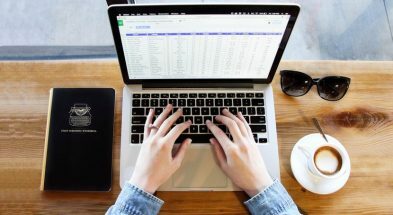 We’re just scratching the surface of what’s possible with a pivot table. Next, why not bring your data to life using a PivotChart, Slicer, or Timeline?